The Mountain View Spartans came to play on Tuesday afternoon. Hard throwing ace pitcher Ilona Sullivan’s fastball was on point and the Spartans’ offense needed just five innings to rack up 10 runs against the Wilcox Chargers, a 10-run rule, five-inning victory for the visitors. As one might expect, Wilcox Head Coach Vanessa Chagoya was none too pleased with her squad’s performance. The Chargers’ most notable performance in this game came from third baseman Serena Cadena. The junior laced a 3-2 fastball over right-fielders head that one-hopped the fence. An opposite-field double was a strong piece of hitting from the corner infielder. Chargers shortstop Deena Pederson picked the only other Wilcox hit of the game, lacing a single in the first inning. The Wilcox lineup returned almost all their key hitters from a team last season that was a strong offensive squad. Offensively, it seems like the current funk has to eventually turn around. On the pitching side of things is where the waters remain murky. Last season, then sophomore Alyssa Guerrero was utilized as the primary pitcher. Now a junior, Guerrero is part of a bigger pitching rotation. In softball, pitching arms aren’t limited to a certain amount of innings. If a team has a star pitcher, she can pitch basically every game. That’s something this Wilcox team doesn’t have, so they are trying to get it done by committee. It’s surely a difficult task for the squad. Against the Spartans it was senior Savannah Ramon on the mound, typically Ramon is seen playing second base. Ramon showed off a quality changeup against the Spartans, but without one true ace pitcher, it’s going to be on the Chargers’ bats to turn things around. 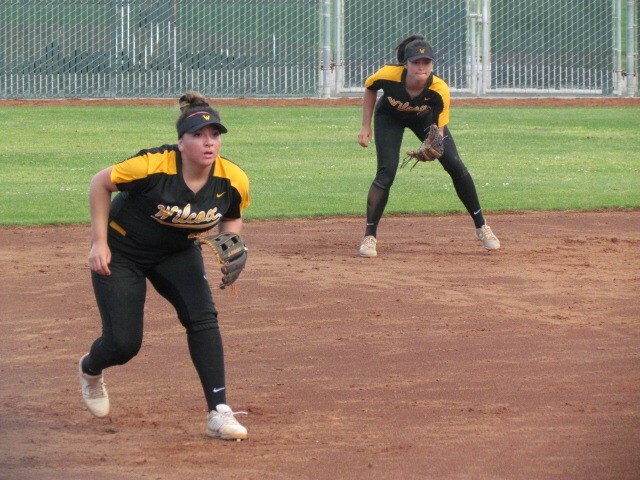 Wilcox will look to get back on track against the rival Bruins on Thursday, April 4 when they travel across town to play at Santa Clara High School.